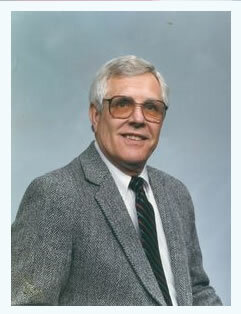 Gordon Paul Gruver, 84, departed this life to enter the haven of rest Friday, July 26, 2013. Funeral: 11:30 a.m. Saturday, August 3, 2013, in Greenwood Funeral Home Chapel. Interment: Greenwood Memorial Park. Visitation: 6 to 8 p.m. Friday at Greenwood Funeral Home. Memorials: Crestview Missionary Baptist Church, 825 Southeast Parkway, Arlington, Texas 76018, in lieu of flowers. Gordon was born December 29, 1928, to Lyle C. and Faye Gruver in Welcome, Minn. He lived at his dream home at Lake Cypress Springs for 10 years and did all the good things that retirement brings. He joined the Air Force in 1950 and served proudly for 20 years. He retired in 1970 at Carswell Air Force Base and Lockheed in 1990. He was preceded in death by his son, William Gruver. Survivors: Wife, Jane Gruver; daughter, Debra Gruver; grandson, Jason Stewart; granddaughter, Stephanie Gruver; brothers, Robert, Howard and Clarence Gruver; sister, Joanne Wojahn; nephews, Christopher and Jonathan Gruver. Greenwood Funeral Home 3100 White Settlement.